Two women who claim they were unlawfully arrested during the Kingsnorth Climate Camp are set to make a complaint to the police watchdog. Val Swain and Emily Apple say they were pinned down after they asked an officer to reveal his identity in August. They believe they were detained because they campaign against police surveillance at demonstrations. The Independent Police Complaints Commission (IPCC) confirmed on Monday that it had received a complaint. Ms Swain, 43, from Cardiff, is believed to have been arrested on suspicion of assault and obstruction and Ms Apple, 33, from Cornwall, for obstruction at the climate camp protest near Hoo last year. Footage of the arrests, which was obtained by the Guardian newspaper, appears to show the pair being pushed to the ground and having pressure applied to their necks by officers. Prior to their arrests Ms Apple is seen asking a West Yorkshire Police officer to reveal his badge number. After the officer's refusal, Ms Swain claims she tried to take a photograph of him. The police footage also appears to show four officers without shoulder badges. Ms Swain and Ms Apple, who are part Fit Watch, a protest group opposed to police forward intelligence teams (Fits), claim they were held in custody for four days and say the charges were dropped at a later date. Ms Apple said: "Their treatment of me, the violence they used wasn't acceptable. "Remand us and us spending four days in custody wasn't acceptable and making a complaint is one of the many ways in which we have been trying to hold the police accountable. "They pressure-pointed me and had their hands round my neck and were just generally very violent. "I'd like an apology but I would also like to see a change in policing at demonstrations away from preventative policing, where the police think they can arrest people, harass people and intimidate them because they might do something illegal." Ms Swain said: "The complaint is to the IPCC, not against one particular force. It is for them to identify the force." Kent Assistant Chief Constable Andy Adams said: "We recognise that people have made complaints and we are dealing with these in accordance with our normal procedures. "There is a judicial review under way and during that process Kent Police is unable to comment on individual cases." Kingsnorth has been at the centre of a climate change row after E.ON announced plans to build a bigger coal-fired power station to replace the existing facility. If built it would be the first new coal-powered plant in the UK for a quarter of a century. 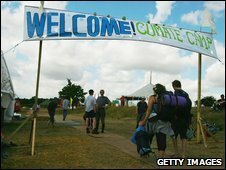 An estimated 1,500 demonstrators attended the climate camp to protest against the plans last August. 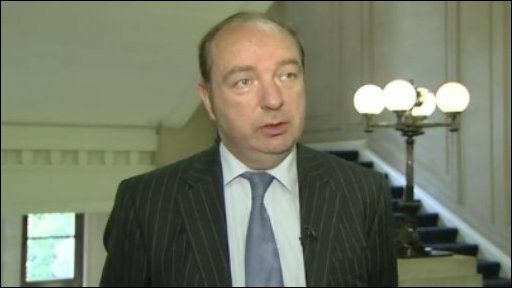 Norman Baker, Liberal Democrat MP for Lewes, said "huge questions" needed to be asked about the policing of the Kingsnorth Climate Camp. He added: "I was the first MP to attend Kingsnorth and I myself witnessed unacceptable behaviour by the police in hitting demonstrators who were offering no threat to the police."